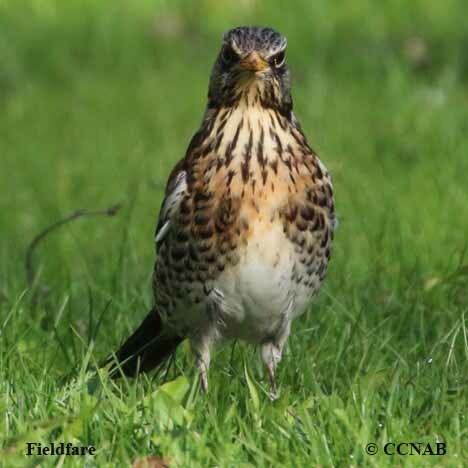 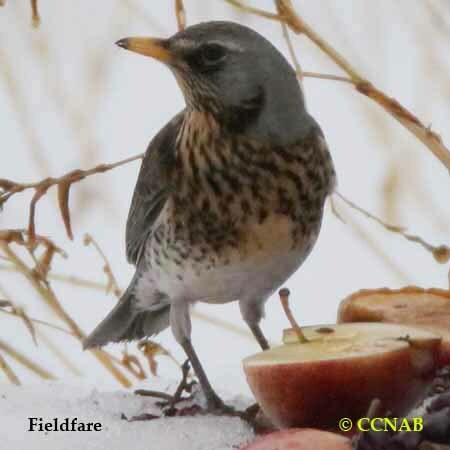 The Fieldfare is a member of the thrush family. 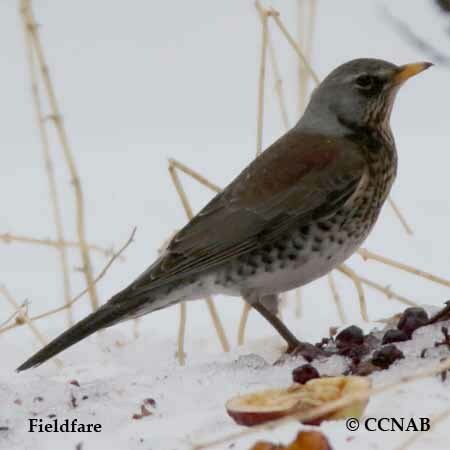 It has a similar apperanace and behavior to the American Robin. 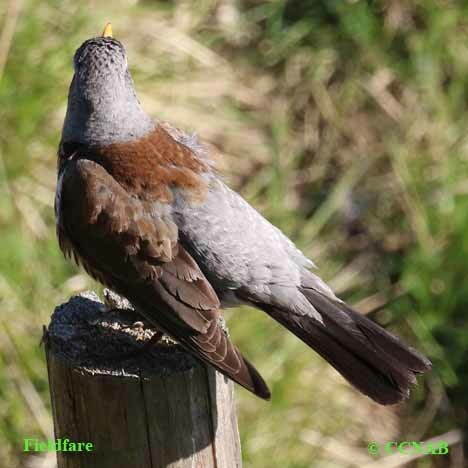 This medium size European bird is sometimes seen in North America, and is recognized as a vagrant bird. 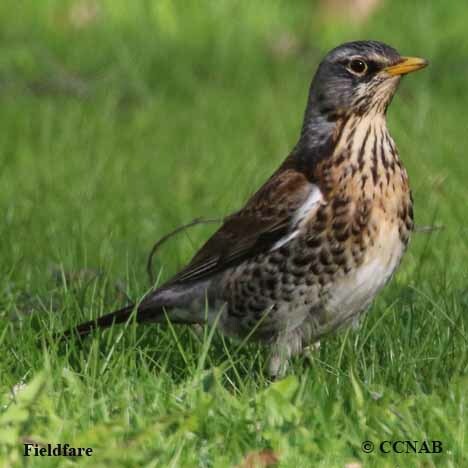 These are hardy birds, that nest in the central and northern regions of Europe.